This post has been sponsored by Oikos OH!. All thoughts and opinions are my own. Happy new year! Have you made your new years resolutions or goals yet? I have, and one of my big goals for 2019 is self care. 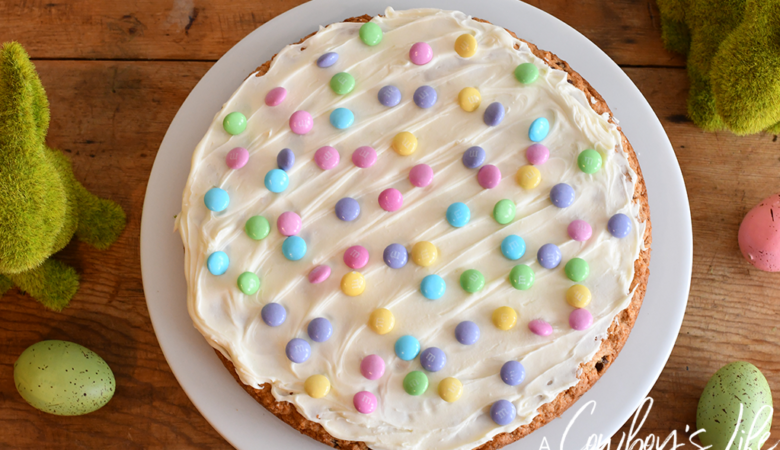 As a mom, I tend to focus on everyone else and my needs seem to always come last. So this year, I am focusing on taking care of myself so that I can be a better mom. Taking at least 30 minutes a day for self care is so important. It benefits no one If I’m tired and rundown all the time. That’s why I’ve stocked up on Oikos® OH! 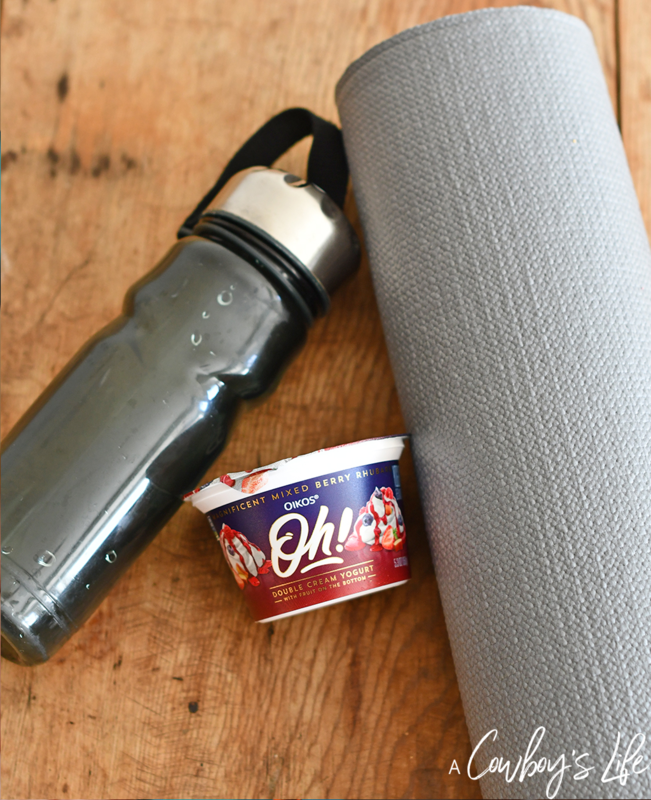 Greek Yogurt products at Albertsons and have been having that as an after-yoga snack lately. 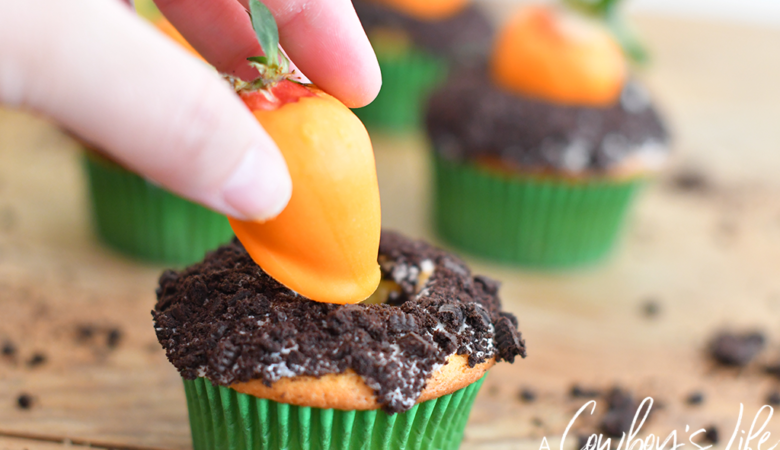 It tastes like Indulgence by the Spoonful! 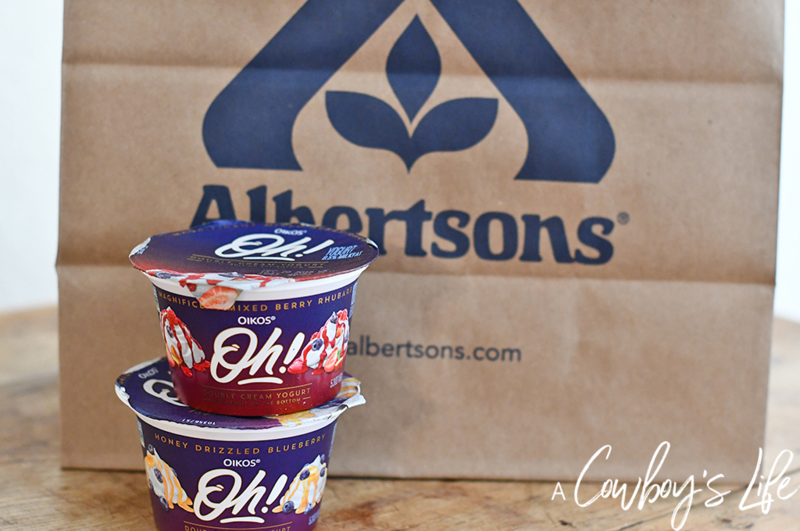 You can find the yogurt in the refrigerated section of Albertsons, and be sure to use the store app. It helps makes your shopping experience so much easier because you have the shopping list and coupons right on your phone. Yay for never having to worry about forgetting your grocery list again! Plus, you can save on Oikos® OH! Greek Yogurt right now! Click below to save at your local store. Oikos® OH! comes in four great flavors of Salt Dusted Caramel Crème, Honey Drizzled Blueberry, Magnificent Mixed Berry Rhubarb and Lemon Sweet Cream Delight. 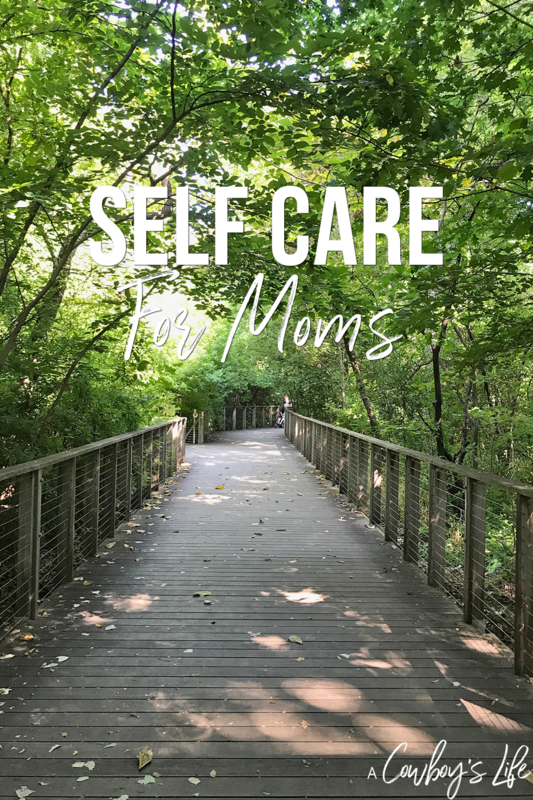 When I find myself needing a little alone time, I try one of these self-care ideas—it helps make me a better person and mother! 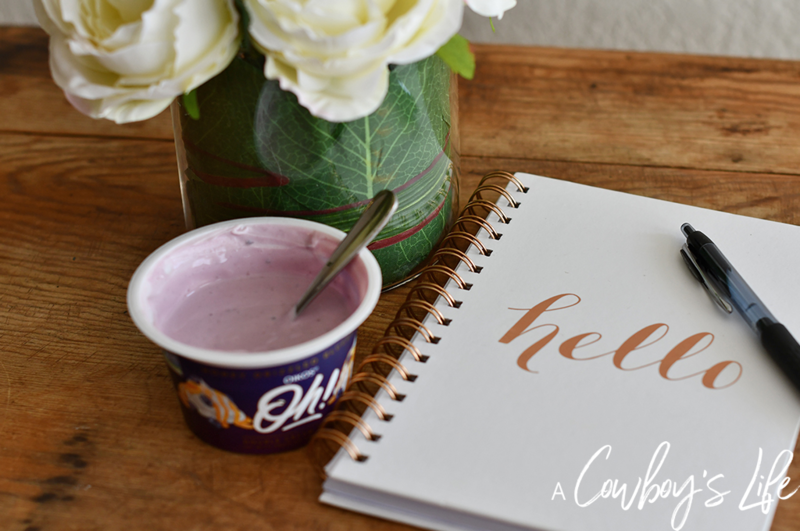 Eat a delicious snack – Try something new, like these tasty Oikos® OH! Greek Yogurt products. Oikos OH! is made with double cream yogurt and paired with unique flavors for an irresistibly indulgent, one-of-a-kind taste. 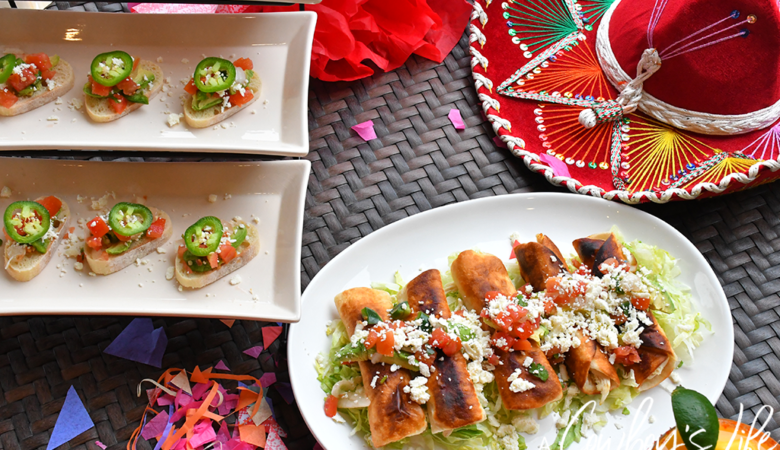 Indulge a little in the new year with something just for you! 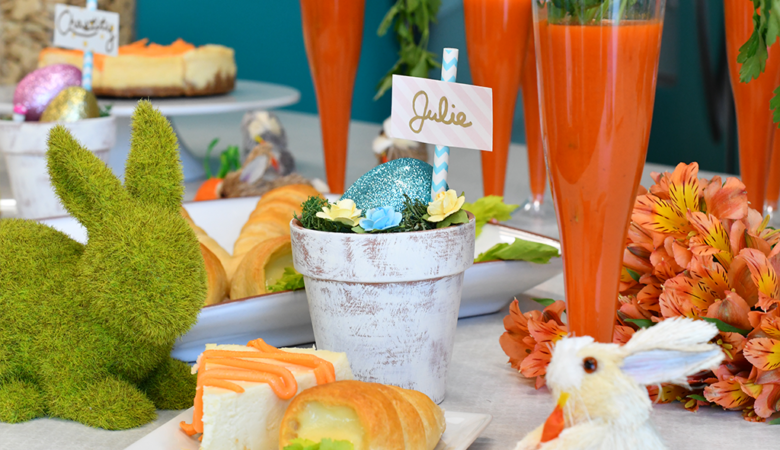 Meet with friends – Whether it’s coffee, brunch or at the park with the kiddos, making time to catch up face to face with friends is a great way to connect and keeping that friendship going. Take a nap – I mean seriously, the world would be a better place if everyone took naps. Use your alone time to catch up on sleep. It’s essential and everyone around you will be thankful! Exercise – Get the endorphins flowing by taking a yoga class or going for a run. Not only is exercise great for your body but it’s good for your mind. 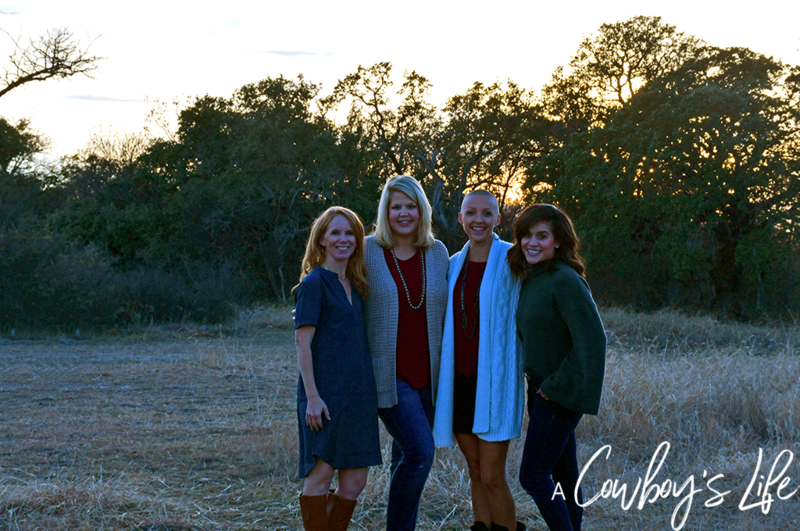 Plan ahead – Having a plan for the day makes life less stressful. Especially when it comes to grocery shopping! 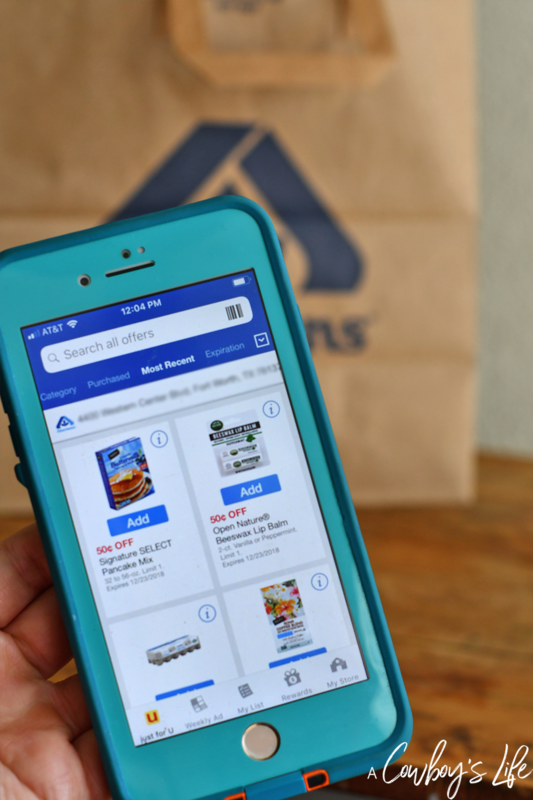 Thanks to the Albertsons mobile app, I can plan out our weekly grocery list, save money with the coupons, and earn rewards. Read a book – Grab a blanket and curl up on the couch for a few minutes. Reading is so relaxing and can easily give us a break from our everyday lives. 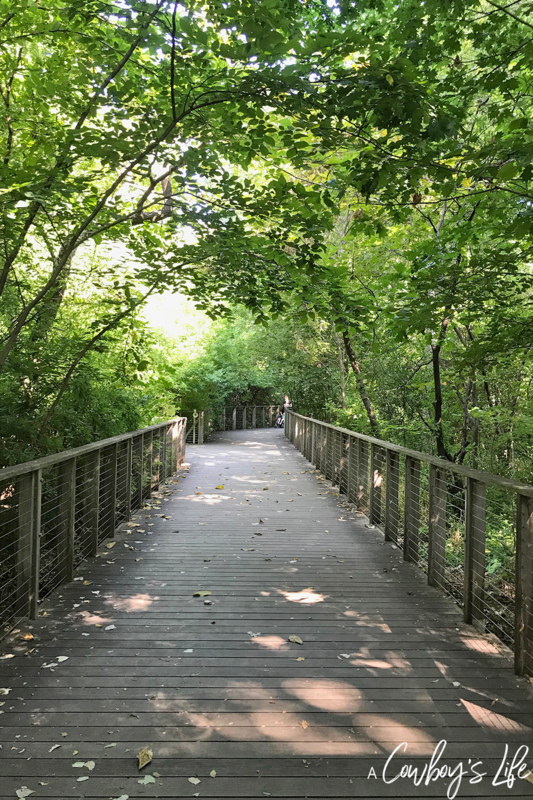 Get outdoors – Go outside for a walk. Take a moment to enjoy the beautiful surroundings and fresh air. Journal – Write down your thoughts and goals in a journal. Don’t over complicate things. Just write down what you’re thinking and get those thoughts or goals on paper. 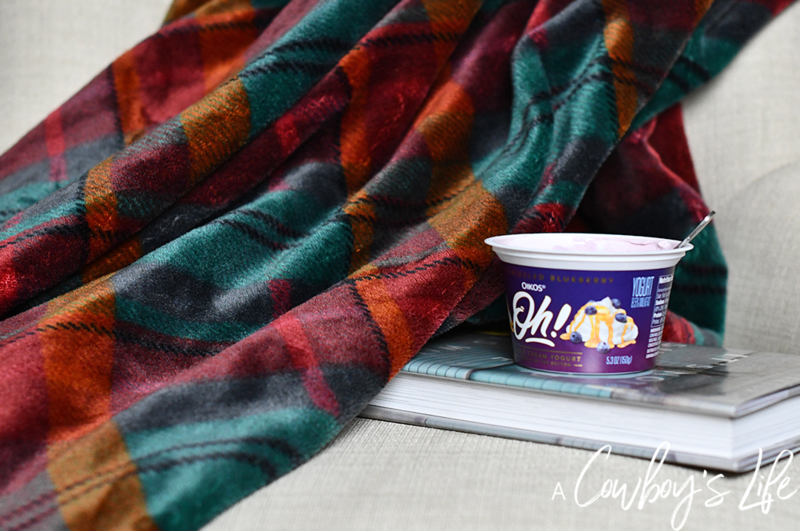 So when you are needing a break from life, grab a cup of Oikos® OH! Greek Yogurt and try one of these self-care ideas. You’ll be thankful that you took time for yourself!